Young Associates currently utilizes QBO, Hubdoc, and Plooto to optimize financial processes. These apps deliver the best value to our customers by allowing us to make use of integrations and automation, and giving you real-time access to your financials. They allow us to work efficiently within our team so we are able to spend more time helping you understand and make use of your financial information. In addition to our bookkeeping tech stack, Young Associates often recommends complementary apps for payroll, reporting, payment processing and more, to help our clients streamline and automate all elements of their accounting and financial management systems. Read about our core tech stack below and take a look at the Hours to Minutes guide on How to Save Time in Your Bookkeeping Workflow, prepared by Hubdoc, Quickbooks, Plooto, and Scansnap. QBO is a cloud-based accounting platform from Intuit which is ideal for small to mid-sized organizations. It allows users to easily access data across multiple platforms (PC or Mac, mobile). There is no need to transfer data files since everyone logs in to the same account to access live data, making issues of version control disappear. Where does it fit in my data flow? Your accounting software is the centrepiece of your financial data flow, allowing you to execute the double-entry bookkeeping required for your organization to comply to GAAP. It also allows third party apps to plug into its API and sync behind the scenes, giving you the opportunity to create a customized digital financial management system for your organization. QBO allows supporting documents to be attached to postings, encouraging greater collaboration and better centralization of information. Bank and credit card transactions are automatically downloaded if you connect your bank or credit card account using online banking credentials. You can automatically create invoices and send them to clients, including delayed customer charges for unbilled time and costs, and you can choose to receive payments via QBO’s credit card processor. Reports can be emailed automatically to anyone (including those who are not using QuickBooks Online) using a scheduled frequency, and approved users can login and access up to date reports at any time. All data is hosted, backed up and secured by Intuit’s servers in Canada, allowing organizations to comply to CRA requirements for the storage of business records in Canada. Logins, third-party activity, and list changes can be monitored using the Audit Log, making it easy to see who has been doing what in the books. QBO provides a variety of online tutorials free of charge, and Young Associates will onboard you to the software, customizing the settings to meet the needs of your organization and assisting you in learning how to navigate the system. Think of Hubdoc as your ‘digital file cabinet’. Whether using it as a standalone tool, or integrating it with other apps (e.g. QBO, Google Drive), it is an efficient and easy way to sort and store the supporting documents for your financial records: bills, statements, invoices, and receipts. And what makes Hubdoc even better, are its automation features. It can ‘fetch’ regular payables like your phone or utilities bill, and you can teach it ‘vendor rules’ to code repeating expenses in the same way. Supporting documents like invoices and receipts can be submitted directly to the Hubdoc app (desktop or mobile), or via a Hubdoc email address which is linked to your account. If you use a Scansnap scanner, items scanned can be submitted directly to Hubdoc. Some Hubdoc customers take advantage of Hubdoc’s ‘file cabinet’ capabilities by using it to store other business records which aren’t pushed to QBO but need to be stored securely in an accessible, well-organized environment (e.g. contracts, tslips, etc). How does it work with QBO? When you integrate the two pieces of software, any payables submitted to Hubdoc can be automatically pushed into QBO (with your approval, of course!) This reduces data entry, and helps audit proof your organization by automatically matching Hubdoc transactions with your bank feed in QBO. Hubdoc will streamline your data flow. Whether items are being fetched directly from the source, or being submitted by various individuals, they will flow into Hubdoc, where they will be organized and accessible, to both you and your bookkeeper, and other advisors as needed (e.g. auditor, board members, etc). You can also choose to sync your Hubdoc with file storage apps (e.g. Google Drive, Dropbox) for an additional backup copy of your business records. It provides an easy, online mechanism for staff and volunteers to provide input on coding so the bookkeeper can push items into QBO as efficiently as possible, keeping your books up to date and your financial information reliable. A "read-only" service: Hubdoc does not have the ability to make account changes of any kind because it is granted limited access to your accounts, bills and statements. This means that no one, including you, can use the service to access money or make changes to any of the accounts. Hubdoc also provides an audit trail making it easy for you to see who submitted a document, by which method, and when. 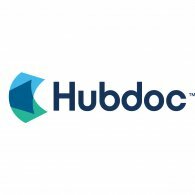 Headquartered in Toronto with Canadian servers, Hubdoc also allows organizations to comply to CRA requirements for the storage of business records in Canada. Hubdoc provides a variety of online tutorials free of charge, and Young Associates will onboard you to the software, customizing the settings to meet the needs of your organization and assisting you in learning how to navigate the system. Sync your accounting software to import your bills & invoices. Pay or get paid from vendors in a click. All you need is their email. Signing authorities can easily approve payments online from anywhere. Pay or get paid from vendors in a click. All you need is their email. Pay or get paid from vendors in a click, with just their email. Plooto deposits or withdraws funds from your bank account. Funds are securely transferred to and from your bank account. Bills & invoices are marked as paid in your accounting software. Bills & invoices are marked as paid in your accounting software. How does it work with QBO and Hubdoc? Plooto integrates directly with QBO, allowing for more efficient processing of payables. Once an invoice or bill is added to Hubdoc, coded, and posted to QBO, the payment can be imported to Plooto. Plooto will then automatically send an authorization request to the appropriate parties so that payment can be issued. Plooto eliminates the administrative burden to get signatures on cheques and makes the approval process more efficient. Because it allows you to set your organization’s own payment approval tiers and provides a digital audit trail, it represents a secure and efficient point in the financial data flow for signing authorities to review a payable and approve issuing a payment. And best of all, Plooto issues the approval requests automatically. No more chasing down a signature! Plooto meets rigorous technical and workflow security standards which you can read in full here. Its digital audit trail and its ability to create custom payment tiers and approval settings, makes it possible to clearly get approval from signing authorities and show who issued that approval and when. Using a digital payment platform also eliminates the opportunity for cheque fraud, which is on the rise. Located in Toronto, with Canadian servers, Plooto also allows organizations to comply to CRA requirements for the storage of business records in Canada. Plooto provides a variety of online tutorials free of charge, and Young Associates will onboard you to the software, customizing the settings to meet the needs of your organization and assisting you in learning how to navigate the system.